While visiting Sydney for work, a friend from school, Neil suggested meeting up at the Royal Albert Hotel on the corner of Commonwealth and Reservoir streets in Surry Hills. It looks like a classic Sydney Hotel from outside and inside plenty of traditional touches remain. The bar taps though, with their selection of craft beers and distinct absence of modern Aussie standard brews are amongst the clues of recent changes. We didn't venture into the Bamboo Dumpling Bar, but did sample the Young Henrys Real Ale, which reminded me of the UK beer in a good way, and very appropriate for the occasion. I decided to take a look at the burger menu, and decided on the soft shell crab. After a short wait it arrived with its asian 'slaw and wasabi mayo. The serve of crab was generous and the flavours worked nicely. The crinkle cut chips came with a red sauce, which in the dim light could have been tomato, fortunately I was warned about the spicy chilli before dipping! 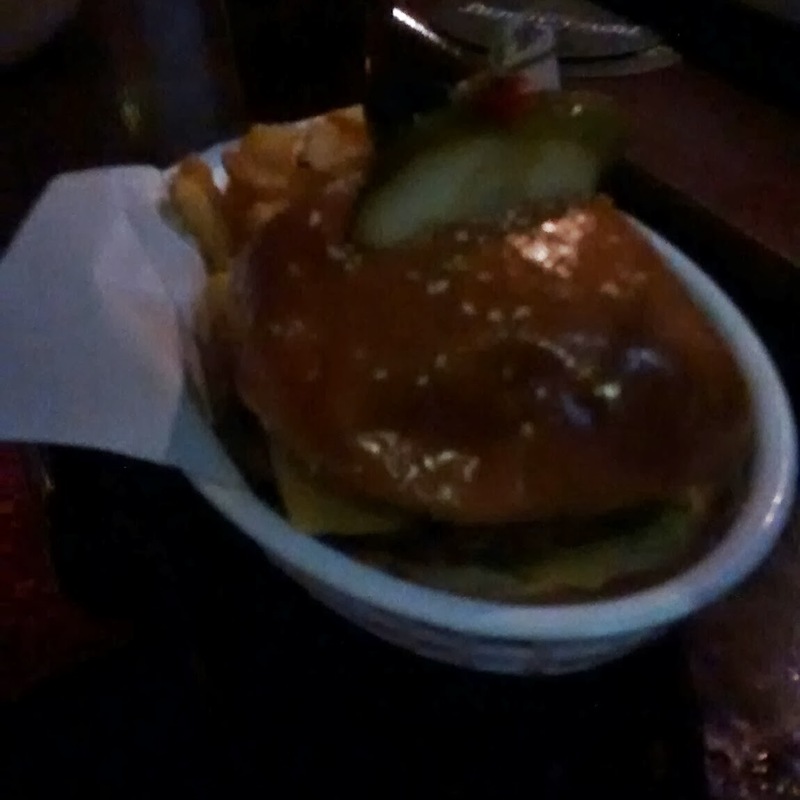 A little later Neil went for the spiced up Royale with cheese featuring a Jalapeno mustard! 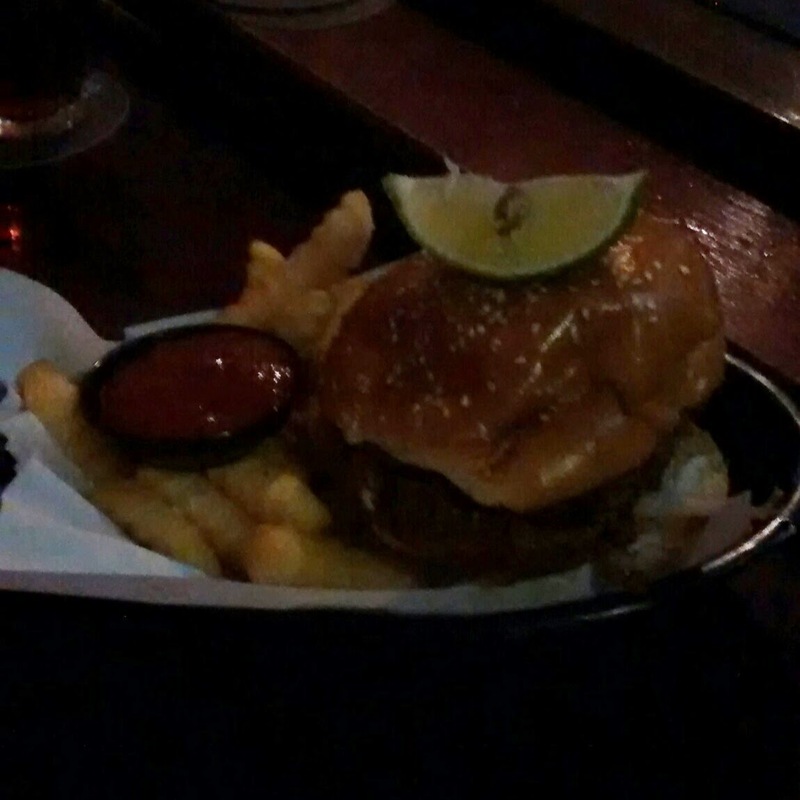 The burgers were around the $16 mark, and perhaps took a little longer than I'd expected to arrive, although the re were a good number of orders from the bar area, along with a reasonably busy sounding dumplings section. 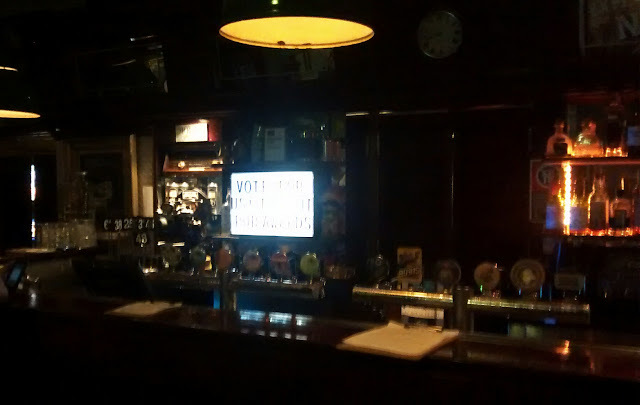 The bar staff were friendly and the vibe relaxed. 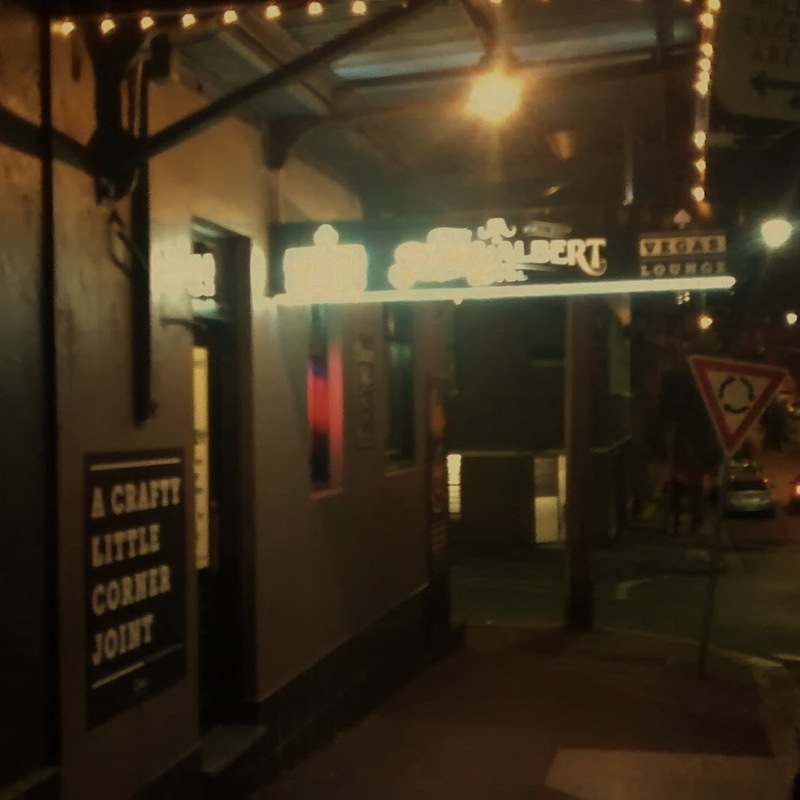 The Royal Albert lives up to its billing as a crafty little corner joint and is well worth seeking out for the burgers as well as the beers.